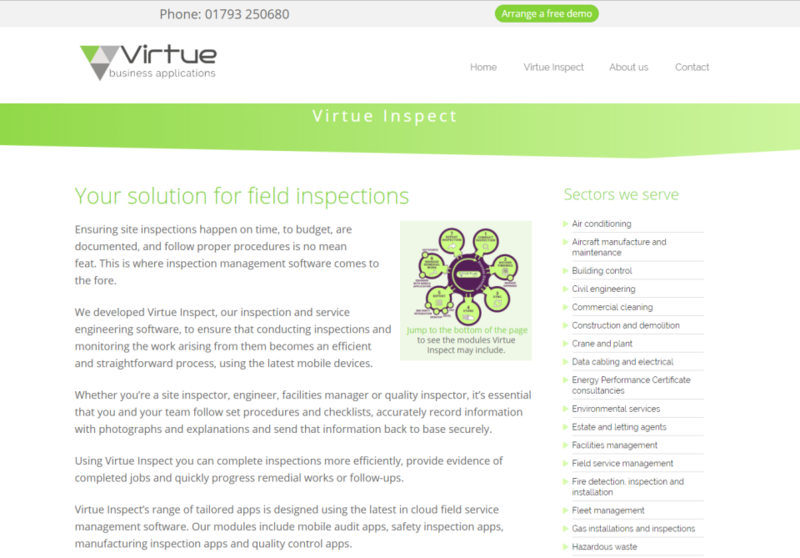 Companies using field service apps or software to record data off site. 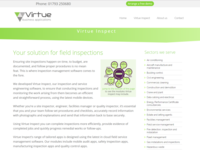 Whether you're a site inspector, engineer, facilities manager or quality inspector, it's essential that you and your team follow set procedures and checklists, accurately record information with photographs and explanations and send that information back to base securely. 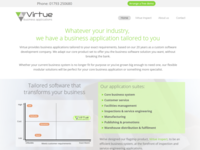 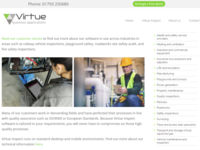 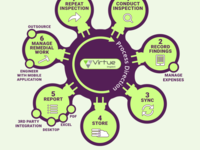 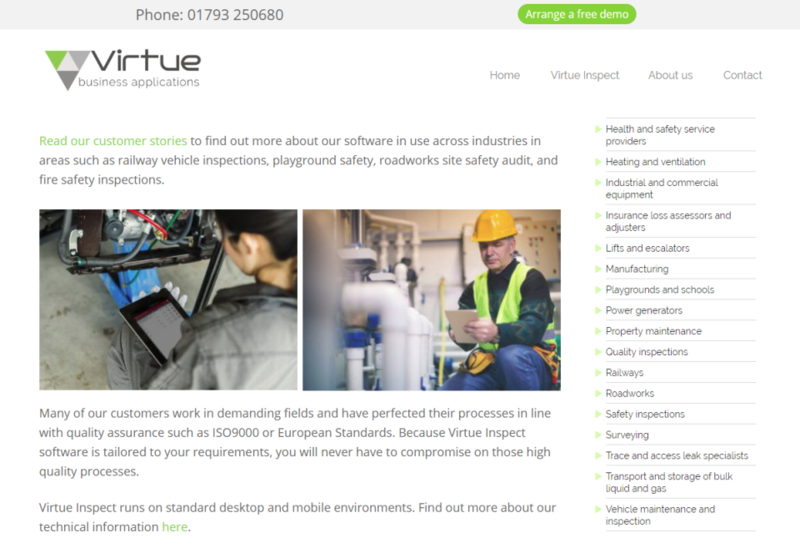 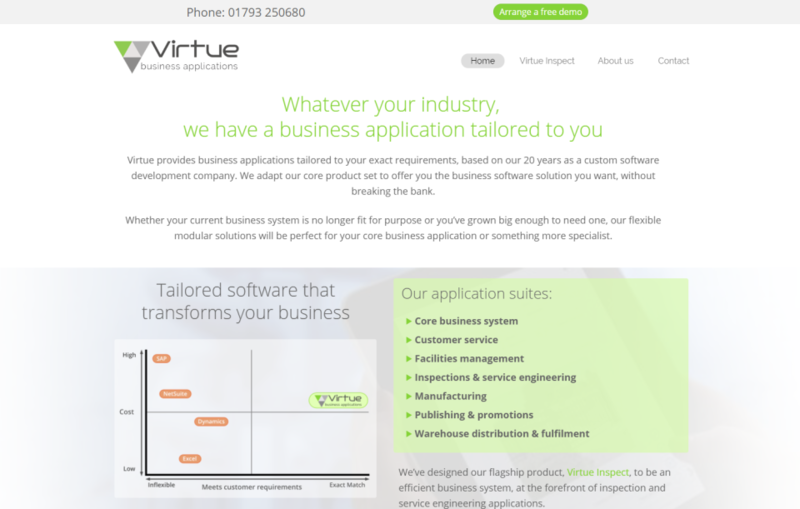 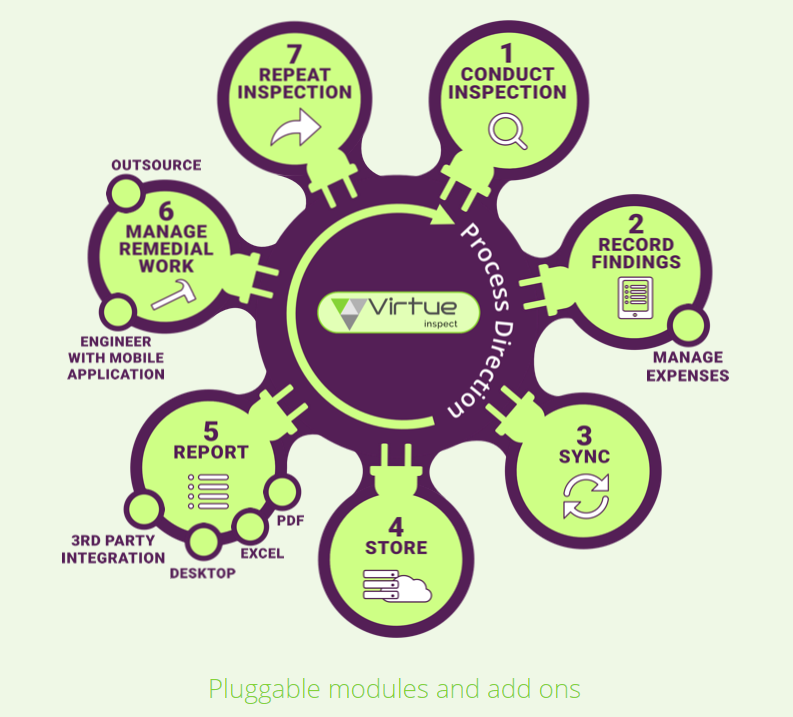 Using Virtue Inspect you can complete inspections more efficiently, provide evidence of completed jobs and quickly progress remedial works or follow-ups.